Nowadays there is a plenty of CSS front-end frameworks, but the number of really good ones can be narrowed down to just a few. Bootstrap is not only my unique and lovely framework, but undoubtable is the undisputed leader among the available frameworks today. It’s a wonderful toolkit on your way to developing responsive, mobile first projects on the web. Technically, it’s not something special than others HTML/ CSS/ JS frameworks (Foundation, Sematic UI, PureCSS etc. ), but it provides many resources (third-party plugins, extension, theme builders and so on) than others. This main reason people continue to choose it. Recently, Bootstrap 4 released with plenty of improvements to reusing and extending variables and general code cleanup. 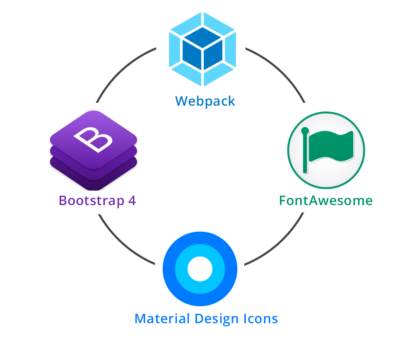 Bootstrap 4 documentation is quite detailed and able to enhance your productivity moving from Bootstrap 3 to the new version or simply trying to learn how to use Bootstrap. One of the most notable change is the drop of the Glyphicons icon font and if you asked me, I would answered, simply: “No problem”! Personally, I am a fun user of Font Awesome library and latest I am testing with Material Design Icons (powered by Google). Keep walking on your personal project using state of the art front-end tools and frameworks! An in-depth look at the tools and process design teams use for asset creation, prototype creation, design asset storage, prototype sharing, and challenges in the process. Enjoy it! 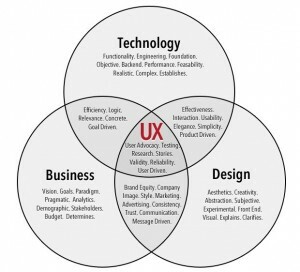 Usabilla Company company (based on Amsterdam, Netherlands) gathered some of the best UX infographics from around the web for our entertainment and education. Pure CSS3 Notepaper is a simple technique to present quotes or small written text on your website (or app). In our case, I used Bootstrap, my lovely front-end framework and suitable css rules to give the effect of notepaper. More specifically, regarding Bootstrap framework, Collapse JS has been used to handle toggle behaviour, compatible with custom jquery script. Enjoy it! It works perfectly in Webkit, Opera, Firefox and almost perfectly in IE (paper rulers are not presented). jQuery plugin for creating editable form elements, independent of front-end framework. This jQuery script has been created for cloning html form elements, indepedent of front-end framework. Bootstrap JS Collapse provides base styles and flexible support for collapsible components like accordions and navigation. Some articles below [Bootstrap Multiple Expand/Collapse], I had present a custom jQuery script which based on the given Bootstrap JS Collapse script and actually it was extended with the famous feature expand/collapse all. In this article, using again the Bootstrap JS Collapse script, I will provide a custom jQuery script that will get url parameter and define the current state of the collapsible element. More specifically, if you use the accordion example code that is provided by Bootstrap framework, you will be sure that add aria-expanded to control the element. In our case, the use case scenario prescribes that the collapsible elements should be closed by default and only one collapsible element will be open every time regarding a custom url parameter. //Given a query string "?accPanel=collapseTwo"
This is my first blog post for 2015 and I am very happy about that because it has been written using the redesigned alkal website! New main category named as “Exposure” where I will exhibit my personal portfolio as amateur photographer. 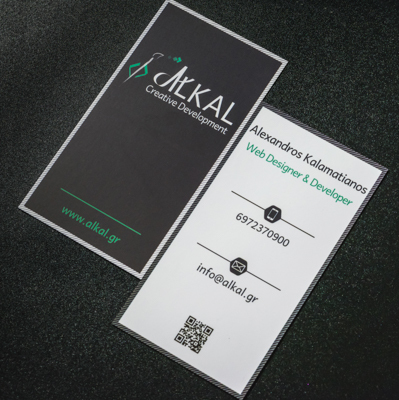 Regarding my new ALKAL logo, it has been designed reflecting my interests and what I can really provide as services. The Brush – Tag icon depicts my personal effort to use design tools and state of the art techniques appropriately so as to provide a pixel perfect website and/or web application through a creative development process. Feel free to browse in all main categories and contact with me for recommendations and suggestions.